Yes Daily Mineral Supplement. Minerals are an effective way to replenish some of the essential minerals that Nature intended for us to receive on a daily basis. YES™ Minerals are an effective way to replenish some of the essential minerals that Nature intended for us to receive on a daily basis, before commercial farmers and food processors ruined them. Minerals are technically termed co-enzymes and they help vitamins work much more efficiently. Based on the work of Professor Brian Peskin, his original Yes Daily Mineral Formula. The Yes Mineral is formulated to be a daily compliment when taken with the Yes EFA Parent Essential Oils Omega 3 and Omega 6, plus the Yes Herbal formula. Formulated to take with the Yes EFA and the Yes Herbal formulas. Both the Yes EFA and the Yes Herbal are available in capsules and liquid. Based on Brian Peskin formulations. Minerals make many of your biochemical reactions work up to 1,000,000 times faster! Everyone is spending money on vitamins, but few people give minerals the attention they fully deserve. Your body can't make minerals; like vitamins, they must come from food or from a supplement. In our opinion, mineral supplements are more important than taking vitamins, because many vitamins are still in the food whereas minerals no longer are. Eating properly and taking YES™ Minerals gives you all the vitamins & Minerals you need! Minerals, in sufficient quantities, are no longer in our food – because they are no longer in the soil. Here’s why: Due to high costs, farmers can't afford to use organic fertilizers like Nature intended. Along with over-farming the same land time-and-time again, the soil, and therefore our food, is lacking in sufficient quantities of essential minerals. Be wary of so-called "fortified" foods that contain added minerals. The mineral may be "in there" but there are no guidelines requiring food manufacturers to use a bio available (usable) form. The bottom line: Even though the mineral is added to the product, very little of it may actually get used by the body. The proper form that a mineral needs to be in is one that the body recognizes, and is termed "truly chelated". This term means that a protein is bonded to the mineral – they become one – the way minerals are in protein foods like meat, chicken, and fish. The cell "welcomes" the protein, and along with it, the mineral. In order to get utilized by your body, minerals need to get into the cell. Scientifically, you need to know that the popular colloidal minerals are too big to enter the cell. Just because it is floating in liquid (the definition of a colloid), doesn't mean it can be utilized at the cellular level. Don’t be deceived. Our research shows that many of us can greatly benefit from a combination of 8 specific minerals: Iron, Magnesium, Zinc, Selenium, Copper, Manganese, Chromium, and Boron. As the Textbook of Medical Physiology clearly states: Supplemental calcium is not needed because there is a sufficient amount of calcium in food for proper bone development. Also, a lack of calcium has nothing to do with osteoporosis (also found in the Textbook of Medical Physiology). YES™ Minerals brings these 8 essential minerals in correct amounts (no potentially harmful overdoses) in a simple to take capsule. Our minerals are in the correct form for maximum use by the body. Essential Minerals are absolutely necessary for maintaining excellent health. Why are these Minerals priced higher than other mineral products in the supermarket and health stores? Proteins are required for mineral transport. Our specialized formula is extremely effective so a little goes a long way! YES™ Minerals are in a highly bio available form (meaning - usable by the body). This special process, termed "true chelation", means that the mineral is chemically bonded to an amino acid (protein). Only in this fashion, can you be assured that the mineral makes it into the cell.] Because of this process there is no "mineral competition" (a fight for use) that many other products cause. We've effectively duplicated in a unique and expensive-to-manufacture supplement, how Nature intended us to get our minerals -- as part of the protein we eat! YES™ Minerals contain the eight (8) specific minerals: magnesium, zinc, selenium, copper, manganese, chromium, and iron, plus a bit of boron, that we may not be getting in sufficient quantities. Don't settle for less than the best! 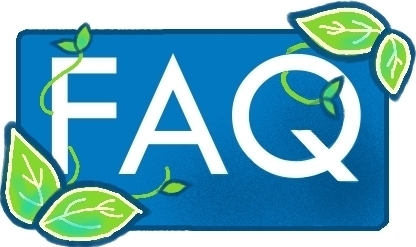 Yes Supplements Frequently Asked Questions. Recommended: 2 capsules daily with food. Includes: 60 capsules.